Product prices and availability are accurate as of 2019-04-03 08:57:50 EDT and are subject to change. Any price and availability information displayed on http://www.amazon.com/ at the time of purchase will apply to the purchase of this product. 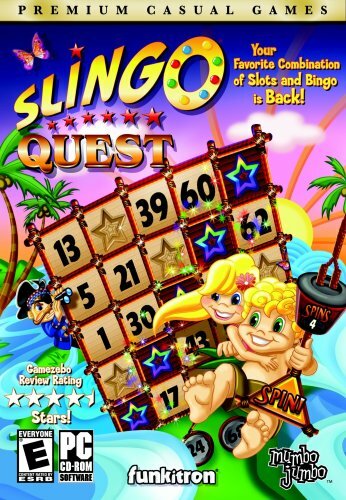 Slingo Quest brings captivating gameplay and a plethora of games to try. From multi-card games to arcade styles, to the classic Slingo you know and love, Slingo Quest has a little something for everyone. With top-notch graphics and 10 unique Slingo songs, you'll want to play straight through all 60 levels.